Pokemon Silver Game Boy Color Game Cartridge Cleaned, Tested, and Guaranteed to Work and Save! 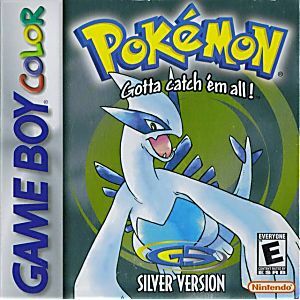 Pokemon Silver for Gameboy Color takes place 3 years after Red, Blue and Yellow, and puts the user into the brand new world of Johto. The gameplay is similar to the previous games but with many improvements. Meet Professor Elm and get the all-new Poke Gear, including map, radio, cell phone and clock. The objective of the game is to become the champion trainer and try to complete the Pokedex. To become the champion the player battles Gym Leaders to obtain various badges. Completing the Pokedex requires a different set of actions and involves capturing wild Pokemon, battling various trainers to obtain money, and trading Pokemon with NPC's and other players of Pokemon games. Game shipped quickly, when it arrived it was in great shape. Game would not save when I received it so I reached out to luckie games. They responded quickly and gave me options. I chose to have them send me a battery, it was shipped quickly at no cost to me. Received the battery and installed, still not saving. I contacted them again and they offers me a refund or replacement game. I opted for the replacement game, it shipped quickly at no cost to me. New game arrived in great condition, new game plays and saves perfectly. They let me keep the new battery and I did not have to ship the bad cartridge back. Excellent customer service and great products, I know where I will be buying my games from in the future! Thank you Lukie Games! 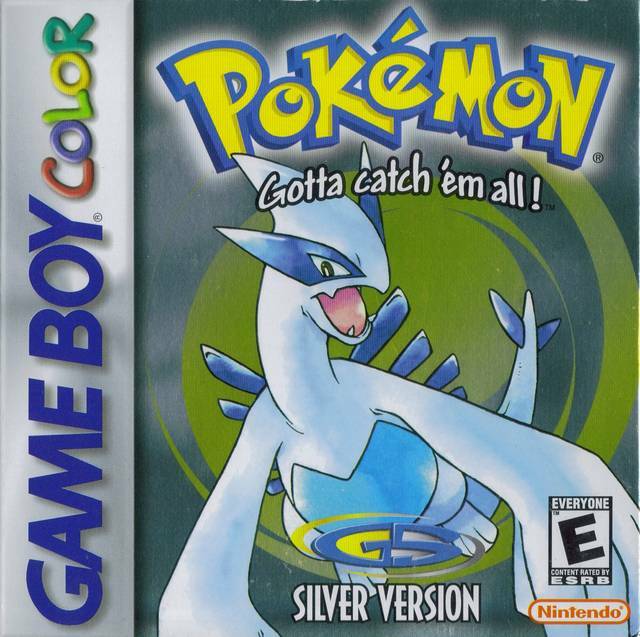 I had my eye on this game for a long time since my brother had pokemon gold. I bought one on ebay but that one was fake. So when I saw this one i was sceptical at first seeing how cheap it was at the time compared to others who claimed to as good as this one. When it came in the mail I was so excited to see that is was not only real but had working save battery as well. I was so pleased with my game I recommend this site to my brother. This will be my exclusive store to buy gaming stuff from now on. The game shipped very quickly and arrived far sooner than expected. When I received it the cartridge was in great condition and plays perfectly. Amazing service and product as usual. Game works perfectly! The cartridge itself was a good condition as well. The Pokémon Silver Game came in "Like New' condition. Was able to play the game with no issues. I'm very happy with my purchase! I love the original Pokemon games so I ordered this one as I was missing it in my small collection. Understanding it is almost 2 decades old I'm expecting "working" condition only with a replaced battery. To my surprise the game cartridge itself barely has any scratches on it, sticker looks just about brand new and plays perfectly. I will absolutely be ordering from this website again. First off let me say I love this website I oreder my gameboy advanced and gameboy advanced sp off of here. I order a whole bunch of games and had no problem with them. I order this game to play a good old classic. It arrived a day before expected, so can't complain. This was one of the games I ordered who a few others. All the games worked. The only problem was the save battery wasn't working, so I contacted them via email. They got back to me fast, gave me a few options. And now I have a new battery on the way. They have a great customer support got back to me right away. I will definitely order off here again, and recommend them to others.